Let me preface this review by saying that my review is not based at all on the morality of the film's content. I try to review films in the most honest and objective way that I can. Whether you feel a movie meets or does not meet your own moral standards is your decision, not mine. For those that don't know, the books were originally TWILIGHT fanfiction* written by E.L. James and posted online. Once it started to become popular, she changed the main characters' names from Edward and Bella to Christian Grey and Anastasia Steele. The names may have been changed, but the fact remains that this is straight up theft of Stephenie Meyer's characters and world. If you do have to see this horrible movie, just think TWILIGHT as you watch it, you'll be shocked by all of the similarities. (Set in small town Washington, a near love triangle between Anastasia (Bella), Christian (Edward), and Jose (who looks a lot like Jacob), Christian gets together with his family and they talk baseball, etc.). That said, this is easily one of the worst films I have ever seen. It is full of painful dialogue, lackluster acting and minimal plot. This movie would be boring if it was only an hour long, but unfortunately it clocks in at over two hours. Oh, the agony. The character development is superficial at best. Really all we get to know is that Grey is an abusive jerk in just about every area of his life and Anastasia is barely more than prey. The rest of the cast doesn't even matter. 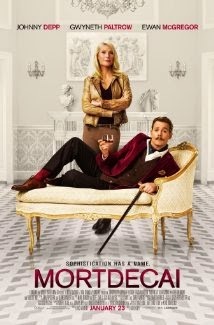 I saw an early screening of this film in a theater full of rabid fans of the book. Needless to say, they were all primed and ready to go before the movie began. There was a buzz and and electricity in the audience that I've only experienced at a few screenings. With almost all screenings of good/great movies the crowd typically applauds and cheers at the end and then I will hear accolades for the movie from the masses as we all walk out together. With this movie, the audience groaned at the incredibly lame ending and then proceeded to walk out in near silence. That tells you more than my review ever could. If you'd like to see my video review of this movie, you can click here. *Stories written by fans of popular books using the same character and world set up by the author. Much of the time fanfiction includes an element of sexuality not seen in the original work. Save your DVD-buying money on this one, there's a lot better on the way. Plot: A language professor at Columbia University finds out she has Alzheimer's Disease and must learn to cope with the aftermath. 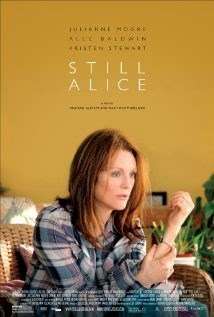 Julianne Moore gives the performance of her career is this heartbreaking film. She perfectly captures the essence of someone losing the mind that she has spent her entire life cultivating. And while not based on a true story, this movie has the feel of what thousands of families must go through every year when one of their loved ones is diagnosed with Alzheimer's Disease. 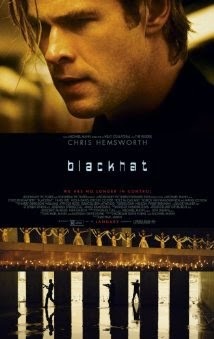 This is not an easy movie to watch, nor will it leave you anytime soon after you see it. So make sure you are mentally prepared before seeing it. However, if you do see it you will be treated to an Oscar-winning performance by Julianne Moore.